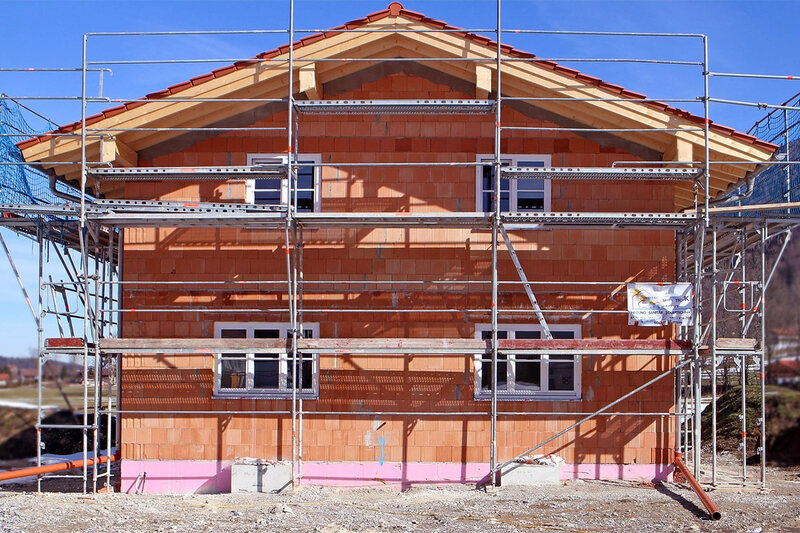 Are you planning to build a new home? If so, you’re likely to have a long to-do list before the construction even begins. You have to purchase land to build on, find a contractor to do the work, plan the interior and exterior look of your home and much more. Checkout five practical tips to consider before building a new home. How Much Property Do You Want Around Your New Home? Choosing the best piece of property is just as important as planning the interior of your new home. It’s a good idea to think about how much space you’d like around your home. Maybe you want a lot of space for a garden and outside play area for the kids. Or, perhaps you want to build a greenhouse or put in a small fishpond. Maybe the reason you are building is, so you and your family can enjoy a lot of space to move around and feel more free. Alternatively, maybe you are looking to downsize with your new home. You want a small yard, so you don’t have much grass to cut or landscaping work. Some people like to focus on the inside of their home instead of the surrounding area. Think about what you’d like to do with the space around your new home and secure a piece of property with enough space for that. How Many Rooms Do You Want in Your New Home? You may already have an idea of how many rooms you want in your new home. But, while making your final decision, think about any changes that may be coming in your family. For instance, you may want an extra room for an elderly parent or other relative to move into in a few years. Or, perhaps you’re planning to add a baby to your family in the coming years and need a nursery. Maybe you want to get an extra room, so you can rent it out to make some money to funnel into your household budget. In short, be flexible about the number of rooms you choose for your home, so you have the space you need when you need it. Of course, you can’t plan for every contingency, but having an extra room or two can benefit you in a lot of ways. Would Your New Home Be Close to Your Work? Are you moving to a new area in order to shorten your commute time to work? If you want a quick commute to work, then consider timing the route from your new home to your workplace. Be sure to factor in the level of traffic and any construction that is going on. Driving the route on a weekday morning is going to give you an accurate picture of what you’ll be dealing with if you build a home in the area. A short commute to work is very important to many people. So, if you care about the length of your commute to work, do a practice route from wherever you plan to build your new home. What Are the Property Taxes Like in the Area? It’s best to do some research on the level of property taxes wherever you plan to build. You’ll need to factor this into your household budget. It’s fairly simple to find out this information at your local library or from the property records department in city hall. This should be done early on, so you aren’t met with a surprise when your first property tax bill arrives in the mail. In addition, checkout the value of other great new homes in the area where you plan to build. Are homes selling quickly or do they have a tendency to stay on the market for months? This can be useful information to you if you decide to sell your home one day and move to another area. Would Your New Home Be Close to Good Schools and Commercial Businesses? If you have children who are still going to school, you’ll want to do some research on the schools in the area where you plan to build your new home. Do you have a lot of choices of public schools? What are the graduation rates for the schools around your area? If you want to send your child to a private school, then it’s a smart idea to check into whether there are any near your new neighborhood. Also, if you have very young children who are not in school yet, it’s a good idea to research schools so you know your options once your children reach school age. Check to see how close your new house would be to the commercial businesses in your area. Maybe you really want to live within twenty minutes of a quality grocery store, bank, dry cleaners, group of restaurants and other similar businesses. Plus, find out where the doctors, dentists and other medical professionals are located in your area. Will you have to travel a long way to visit a medical professional? Taking the time to scout out commercial businesses and offices can give you an idea of whether you want to build in a particular area. Or, if you like the idea of living far away from businesses and other busy areas, then that will guide your decision on where to build. Lastly, these are just five useful tips to follow before building your new home. Other things to think about include what sort of neighborhood you want to build in, what kind of Internet service you want and the condition of the other homes in an area. Take your time and do your research about an area before making the move to build. The more you find out about the area where you plan to build, the happier you’ll be when you finally move into your new place.